“The Tempest,” Pop-UpRight #3 at Nashville Shakespeare Festival, 2018. Everett Tarlton as Caliban. Photo by Rick Malkin. 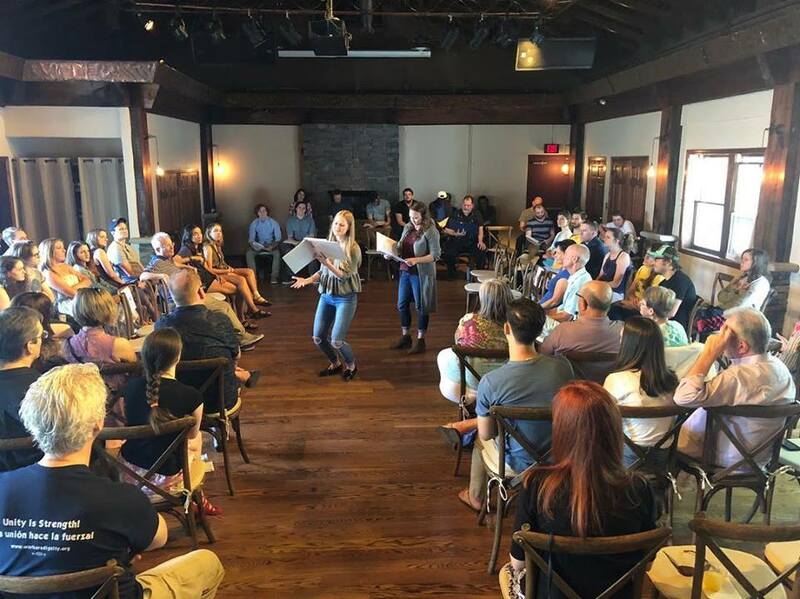 The Nashville Shakespeare Festival’s Pop-UpRight Shakespeare series brings lively, “upright,” on-its-feet staged readings of Shakespeare’s plays to surprise locations in and around Nashville. They have two more readings in 2018: The Taming of the Shrew, on October 20, and Richard III, on November 17. 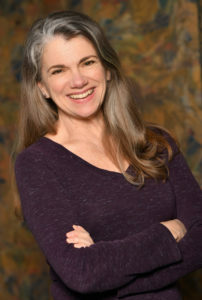 We asked Nashville Shakespeare Festival Artistic Director Denice Hicks to tell us how the project came to be, what she’s learned from it, and how you can catch the next show. 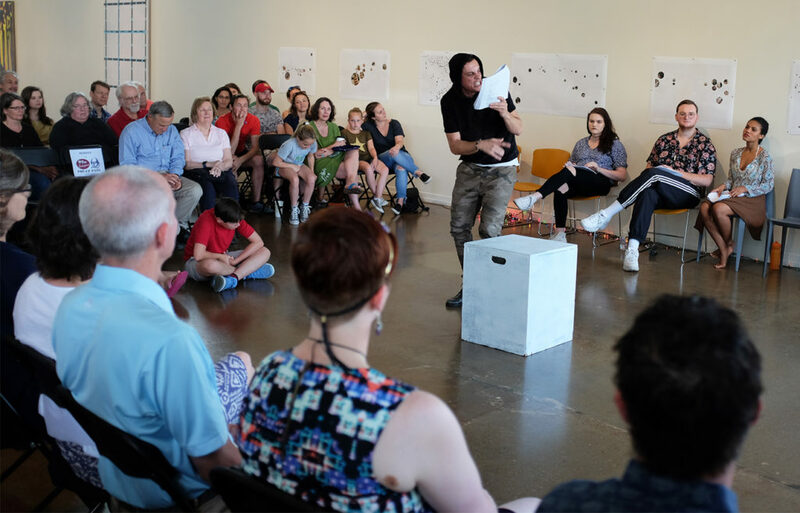 Where did the idea for Nashville’s Pop-UpRight Shakespeare series come from? We started our Shakespeare Allowed project in October of 2008 as a partnership with the Nashville Main Library. It has been very well attended and a wonderful community has sprung from it. For Shakespeare Allowed we read “round robin” style, so everybody got a chance to read, but some people expressed interest in hearing actors read the plays. After watching actors bring so much to callback auditions, I decided to present a few of the plays “upright,” with actors reading on their feet. These were also well attended, and the actors enjoyed playing Shakespeare’s great roles with very little rehearsal/time commitment. This year, we decided to add the extra dose of fun by putting the UpRight readings in surprise locations, and limiting the audience to a hundred per reading. How do you select the locations for the performances? The locations are chosen in a variety of ways. We want to reach into new communities, so we aim to spread out across the city, and we encouraged the directors to reach into their own circles. Carrie Brewer, our Marketing Director, had the idea of doing Titus Andronicus in an Italian restaurant and the first one she called said “yes!” As the audiences have grown, we’ve had to make sure that the space can accommodate up to a hundred people, which has begun to eliminate some of our original ideas. Since the readings have been so successful, we’re getting host offers from more places. 2019 is going to be so much fun! What’s the coolest place you’ve been as part of the Pop-UpRight Shakespeare series? Every place has had its charms and challenges. It’s wonderful when a place helps illuminate an aspect of a play. We read The Tempest in an art gallery, and the art on the walls made us very aware of every time the word “art” was mentioned in the text. “The Merchant of Venice,” Pop-UpRight #2 at Nashville Shakespeare Festival, 2018. Photo by Carrie Brewer. Morgan Davis (left) as Portia, Brooke Bethel (right) as Nerissa. What has staging these plays in diverse spaces around Nashville taught you about about Shakespeare’s plays? The plays really stand upright on their own without a lot of conceptualizing or technology. We have had children present and focused for every reading, and their response to these plays has affirmed that the poetry, the stories, and the characters are compelling without sets, lights and costumes. Any particularly fond memories from past Pop-UpRight performances? Any particular challenges? Our first Pop-UpRight was scheduled to be in a field next to a coffee shop. When thunderstorms were forecast for that afternoon, a beautiful church up the street opened its doors for us and we played in the sanctuary. It was such a celebration of neighborly kindness. A few months later, I found a particular challenge in reading Prospero for The Tempest. Although I know that play pretty well, I’d never played Prospero before and experienced a huge wave of emotion as I tried to read the epilogue. The truth of the words, the attentiveness of the audience, the energy the cast had just put into the reading, and beauty of the art gallery all overwhelmed me which was humbling. What has been the response from Pop-UpRight audiences? Our audiences say they love the Pop-UpRights because they feel like they are seeing a side of theater that is usually kept from them. They love the rough, presentational style and enjoy it when a little improv breaks out because a page won’t turn or an actor faces an unrehearsed physical challenge holding a script. We have some amazing talents here in Nashville, and our actors are always playful. We had an English teacher tell us that she’d taught a play for 13 years, but after seeing it UpRight, she was going to approach the unit in a whole new way. We love it when we can inspire teachers! Clues leading to the location of the Nashville Shakespeare Festival’s reading of “Titus” at Maggiano’s restaurant. How can I get tickets for the show—and how will I find out where to go? We are asking for a very small ticket price (buy into the series and save even more). When you purchase your tickets via our website, you’ll give us your phone number and email. About two weeks before the date, we start to drop hints about the location via social media, and we’ll let you know in what part of town we’re going to be. The day before the event we text the people who’ve bought tickets the address. But we still won’t tell them what the venue is, so the reveal happens as they arrive. Since the last two Pop-UpRights have sold out in advance, that is the only way to get in. Can you give us a hint about the location of your Taming of the Shrew? Nope! But I will say that it is in a whole new part of town, it’s a beautiful space, and our new hosts are excited to welcome lovers of Shakespeare into their facility! The Nashville Shakespeare Festival is a theater partner of the Folger Shakespeare Library. In January, catch their production of Julius Caesar in Nashville and Murfreesboro.